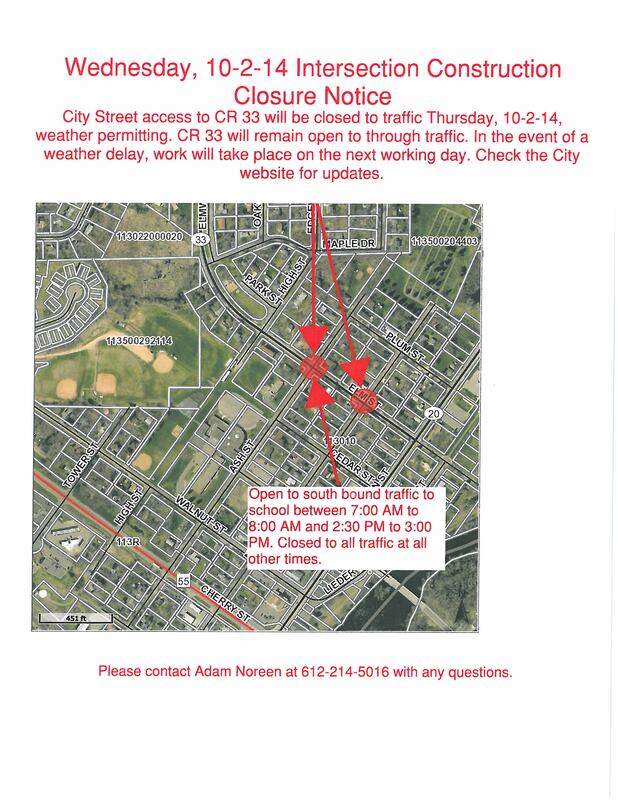 City street access to CR33 will be closed to traffic Wednesday, October 1st Thursday, October 2nd, weather permitting. 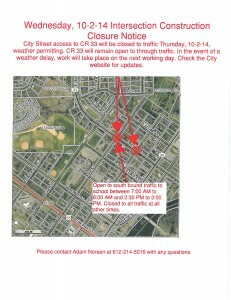 CR33 will remain open to through traffic. In the event of a weather delay, work will take place on the next working day. Property owners will have the ability to choose between having wastewater bills averaged based upon winter water use and being billed wastewater based upon their monthly water gallons used. Properties have been preliminarily assigned to a billing method based upon which method produced the lower utility bill on the August billing. Property owners may contact City Hall to change their billing method at any time prior to December 31, 2014 of this year, and may change their billing method during the month of December every year moving forward. Retroactive to the August 2014 utility bills and moving forward, there will be a base fee of $4.95 each for the Water and Wastewater Utilities. Also retroactive to the August 2014 utility bills and moving forward, the water rate will be set at $4.54 per 1,000 gallons and the wastewater rate will be set at $5.40 per 1,000 gallons used. As of January 1, 2015, the wastewater rate will increase to $6.45 per 1,000 gallons used. The city will be sending a letter providing more information on these utility billing changes and the attached spreadsheet will assist property owners in calculating the approximate cost of future utility bills based upon their water use. We will be resending the August billing with the updated rates shortly. If you have already paid your August utility bill your account will be credited with any applicable overpayment based upon the utility rate change. 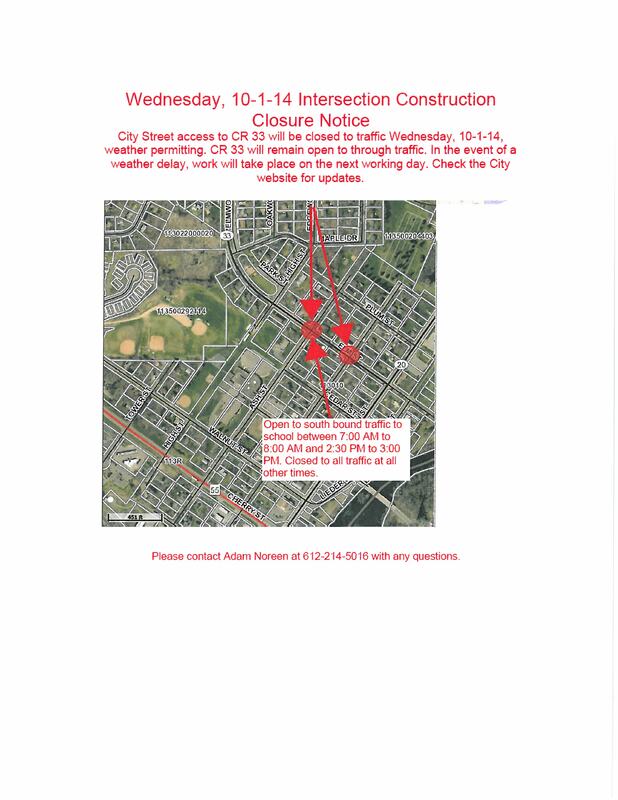 Please contact City Hall with any questions you may have.